Our Sephardic Tid-Bit series of stories begins with a brief discussion today, 523 years after the issuance of the Spanish edict of Expulsion. The series will end with a full and complete discussion of its immediate affect on the Jews of Spain and later Portugal. 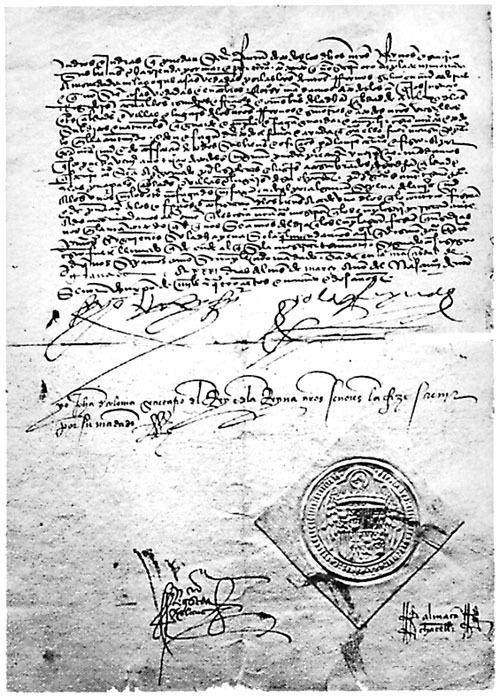 This document was composed and signed by King Ferdinand and Queen Isabella on March 31, 1492 at the Alhambra Palace in Granada. In simple words it said you Jews who have lived in Spain for more than a thousand years must leave your homes and businesses in Spain no later than August 2, 1492 unless you convert to Catholicism. There are many estimates as to how many Jews were affected but the best numbers I have come by was about 300,000....and the way it worked out 100,000 converted sincerely, another 100,000 converted insincerely with the intent to somehow remain Jewish secretly, 100,000 left Spain, never to return. Today Spain and Portugal have offered citizenship to the descendants of those forced to flee or convert.